Potatoes have become a mainstay of Passover. Potatoes are versatile and can be used in probably hundreds of ways. Some people moan and groan about how many potatoes they "have to" eat because there is nothing else. Huh? Fortunately, there is a plethora of vegetables to cook and be creative with. How many different squash are there? What about root veggies? Although, we do not eat beans and peas, there are many other greens, Kale is big of recent times and spinach and bok choy as a few examples. Eggplant, carrots, radishes, lettuce, parsnips, turnips.........need I say more? If you are a vegetable eater, the opportunities to make the holiday one of good eating, is endless. I love potatoes and have no desire to run away from them. I like sweet potatoes and use them throughout the year. For the potato avoiders butternut squash is a good substitute. 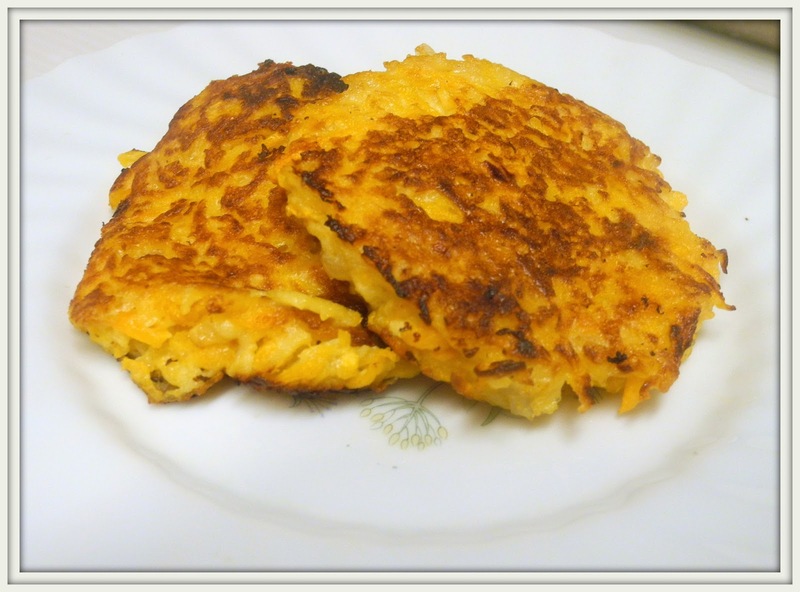 This is an easy and yummy side to make on Pesach or any other day. This dish went over well and comes from Joy of Kosher from Miriam Pascal. Oh yes, if you do want the potato, sub it in for the squash and enjoy. I really like apples and butternut squash together, Chaya and they sound wonderful in your lovely latkes - what a delicious dish! Thank you for sharing with us at the Hearth and Soul hop.